Heather Brown is a Licensed Professional Counselor, Registered Art Therapist, Advanced Certified Trauma Practitioner through the National Institute of Trauma and Loss and the coauthor of Therapeutic Interventions for Families and Children in the Child Welfare System. She holds her Master's degree in Counseling and Art Therapy from Eastern Virginia Medical School and is accredited through the State of Michigan as well as the Art Therapy Credential Board. Originally from the Baltimore-Washington metro area, Heather moved to Detroit 12 years ago and since then has effectively helped metro Detroit's children, teens, adults, and professionals by providing high quality and creative therapeutic interventions and trainings. ​Heather also offers individual and group supervision for LLPC's (Limited Licensed Professional Counselors) and future- ATR's (Registered Art Therapists) as well as post-licensure case and career consultation. 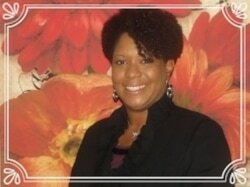 She has provided numerous presentations and trainings in community forums, professional conferences, and educational settings on parenting, working with children and families in foster care and adoption, child and adolescent mental health concerns, trauma/PTSD, grief & loss, and art therapy. Kristen Kennard is a Licensed Counselor and Behavior Health Specialist. ​248.266.8036 to schedule your appointment today.